Engineering is a hotly debated topic in current economic news, and a widespread need to revive this industry has been regularly observed. To that end, famous inventor James Dyson has offered an £8 million funding boost to the engineering and science departments at Cambridge University. According to BBC News the funding is being used to complete a four storey structure – known as The Dyson Engineering Centre – that will be an integral part of the university provision for both research and design students. As confirmed by a spokesperson at Cambridge University, the donation is larger than any other sum to be given to the faculty in previous years. Dyson has previously been outspoken in his support of UK engineering, and this latest gesture from the influential inventor is even more significant given the current climate. Apparently, the late dearth of British engineering talent is largely down to preconceptions that have been formed by young people over the exact benefits that an engineering career has to offer, and so it is vital to readdress the way in which this discipline is being taught. BBC News relates how engineering is commonly viewed as a poorly paid profession that frequently results in redundancy. In addition, it is seen by the younger generation as being both dirty and physically taxing, and these negative connotations are stifling burgeoning engineering aptitude before it can ever blossom into fruition. Clearly, a major realignment is needed to lift this stigma, yet Dyson&apos;s efforts show that the situation is certainly not beyond redemption. Here at European Springs, we employ many talented engineering staff at both of our premises in London and Cornwall, and it saddens us to see the misconceptions that have formed around engineering. As a company that pioneers cutting edge technology – like CAD CAM software and laser cutting – we are living proof that engineering is far from dull, and our innovative solutions – such as our project upon the Öresund Bridge – certainly don&apos;t suggest a discipline with no future prospects. We speak from experience when we say that engineering can be a very rewarding profession, and, as demonstrated by our recent expansion, there are a wealth of opportunities for young individuals to display their engineering proficiency. 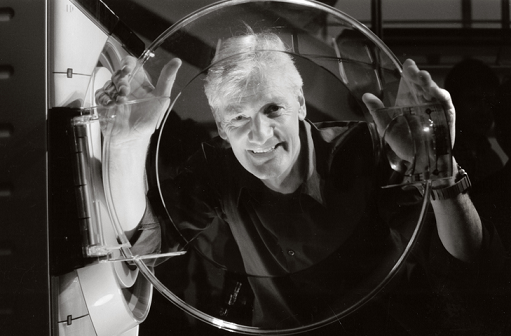 As such, we think that James Dyson&apos;s desire to enhance the appeal of engineering from a younger age is a very shrewd one, and we wish his endeavours, and also those of others, every success in the future. We&apos;re very fortunate to have continued to flourish even in times when the engineering industry as a whole has been struggling, and our provision of tension springs and similar high quality components has gone from strength to strength even during the recession. If you have any need of springs or high speed pressings for your business, please don&apos;t hesitate to contact us by calling +44 (0) 208 663 1800 or emailing info.bec@europeansprings.com today. We&apos;ll only be too pleased to help.